Founded in 1919, the Rotary Club of Rutland is one of the oldest Rotary Clubs in New England. Our membership has always reflected a wide diversity of local business leaders with a commitment to Service Above Self. A main focus of the Rotary Club of Rutland is community service for both our local communities. Recent projects include NW Neighborhood Block Party, Halloween Parade, Winter in August, Relay for Life, and a myriad of other worthwhile endavours. 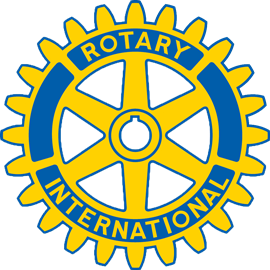 Join us for weekly meetings and our regularly scheduled socials with our neighbor Rotary Clubs. Recent events were taken place at local inns, restaurants and bowling alleys. Speakers at our meetings come from a variety of backgrounds and industries. Each meeting provides an opportunity to learn something new. Rotary International has 1.2 million members in more than 200 countries and geographical areas. As volunteers, Rotary members have been serving the needs of communities worldwide since 1905. Rotary and its partners have reduced polio cases by 99 percent worldwide. Thanks to Rotary, Polio remains endemic in just four countries: Afghanistan, India, Nigeria, and Pakistan. The strength of each Rotary club is its members. If you’re interested in joining us, please contact us for more information. You can find details about our upcoming service projects and events on this site.